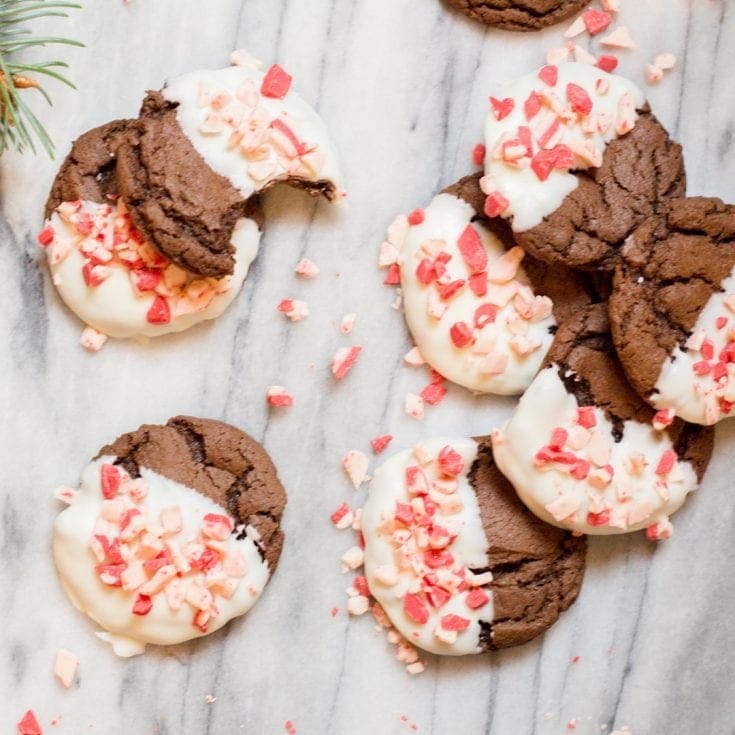 What makes these Easy Christmas Cookies so easy? Let me tell you, the cookie is 3 ingredients! They come out perfect every time! And the possibilities are endless on how you can fix them up. To me, that makes an Easy Christmas Cookie! Christmas is a time of year I love to bake, and Christmas Cookies are a high priority item in my book. From Chocolate to Vanilla, they are all so good. 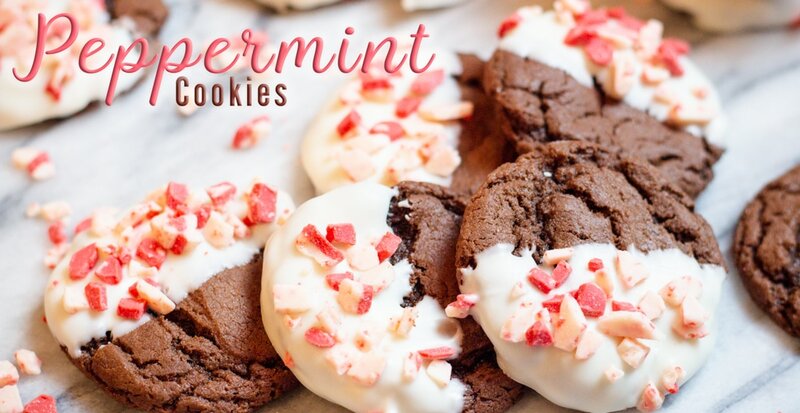 Easy Christmas Cookies are a blend of sweet and peppermint and oh so delicious. Make a fun sandwich with a small scoop of vanilla ice cream. Oh it’s heavenly! 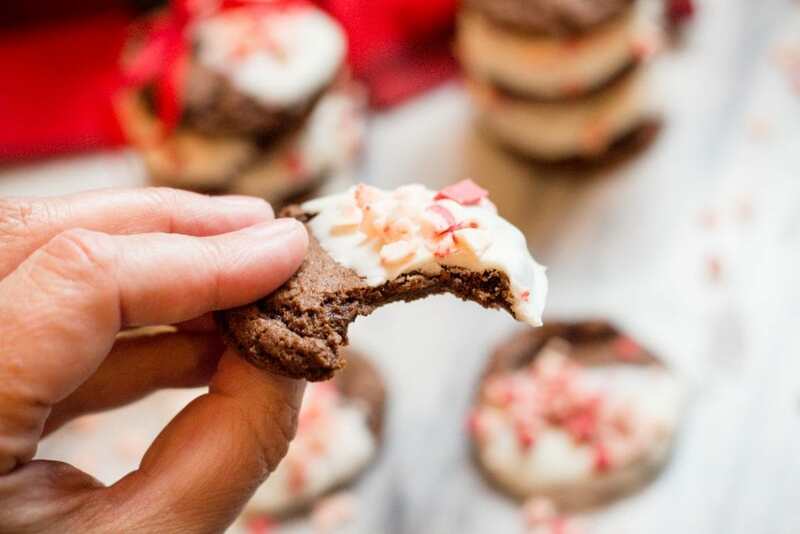 Christmas Cookies are abundant and we don’t always have time for everything fancy, so give these EASY Christmas Cookies a try. It’s a 3 ingredient cookie recipe and they turn out perfect every time. Chocolate and Chewy and good! 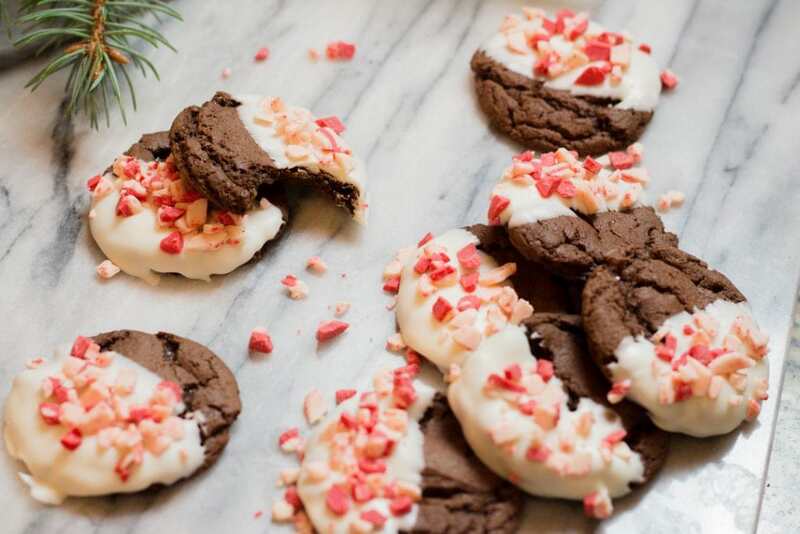 These Chocolate Cookies are dipped in melted almond bark and sprinkled with Andes Peppermint Pieces. Oh yum! A perfect holiday cookie. I remember Christmas time with my mom in the kitchen baking cookies for friends and neighbors. 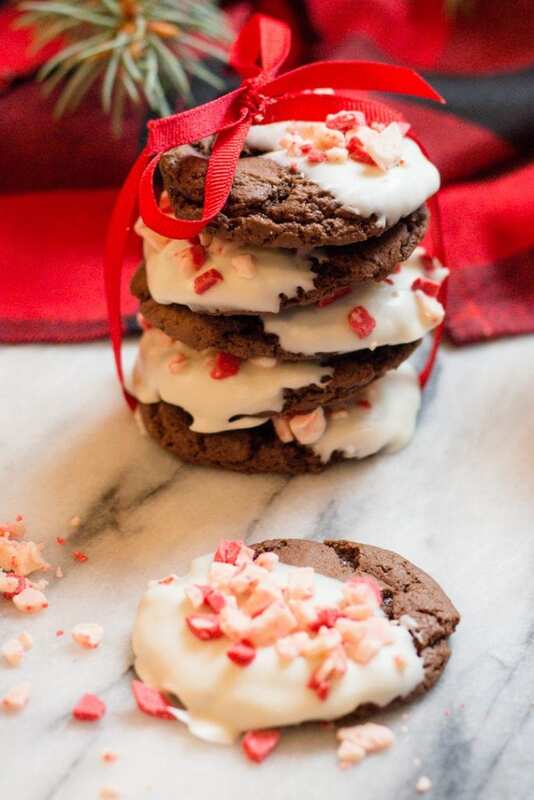 We would always make the Marshmallow Chocolate Cookies and often times add these fun and Easy Christmas Cookies in the mix of baking too. Those are the funnest memories of Christmas, when I was learning to give to others by doing something I had done. Easy Christmas Cookies have become a tradition in my home. I even bake them early and freeze them because they freeze so well and keeps me from baking all the Christmas Cookies in one day. I’m often not a fan of Cake Mix Cookies. However, this one is PERFECT. It’s rich and chewy and oh so good. Brands do make a difference, use a quality brand name and use Devil’s Food. Not just any old chocolate cake mix. You will be sorry if you do. They will still be good, but just not as good as they could be! For the best make these Easy Christmas Cookies, they are truly the Easiest cookie you will ever make. Melting Chocolate is easy when you use your Instant Pot or Pressure cooker as a double broiler! Heat up 3-4 cups of water on Saute’ and place a larger bowl on top. Drop in your Almond Bark or Chocolate and stir until melted. Easy Peasy! 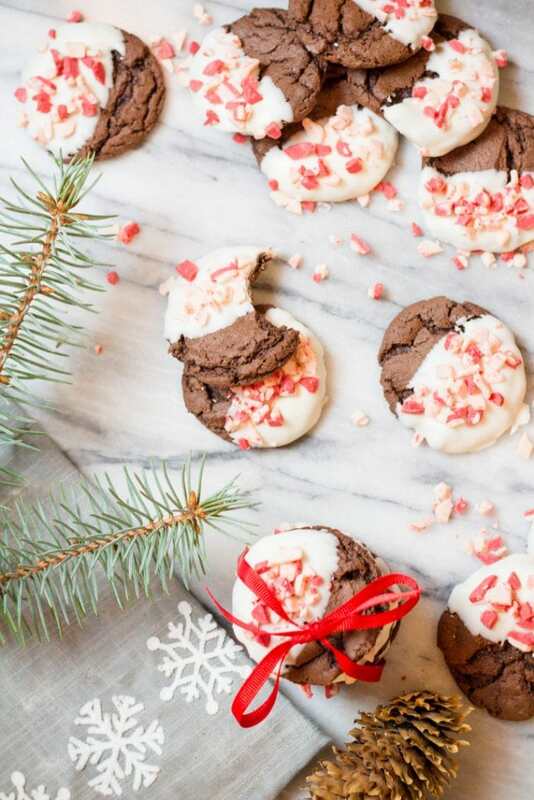 Easy Christmas Cookies are Chocolaty, Chewy and DELICIOUS! 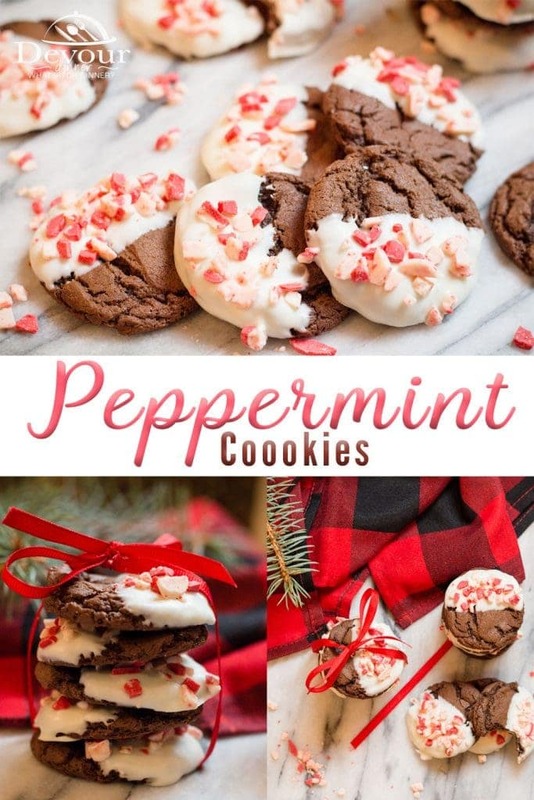 With White Chocolate and peppermint on top, these are delicious and beautiful Christmas Cookies! 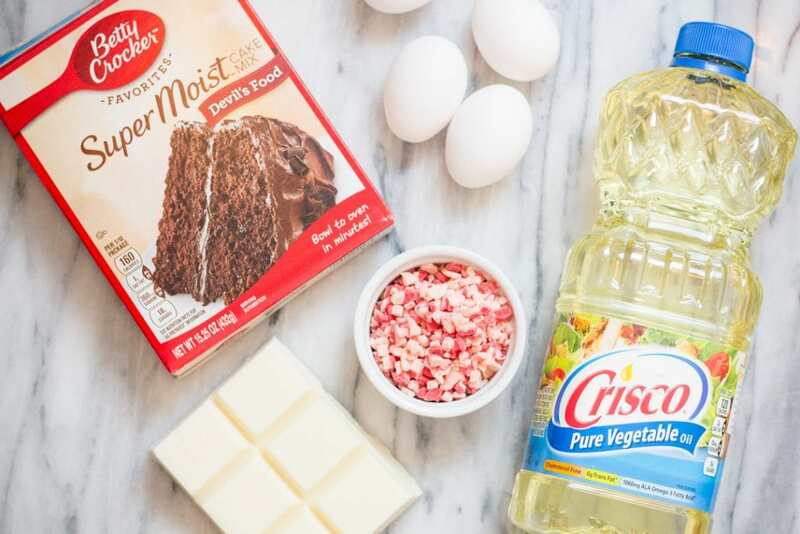 In a stand mixer or a large mixing bowl, add the Devils Food Cake Mix, eggs and oil. 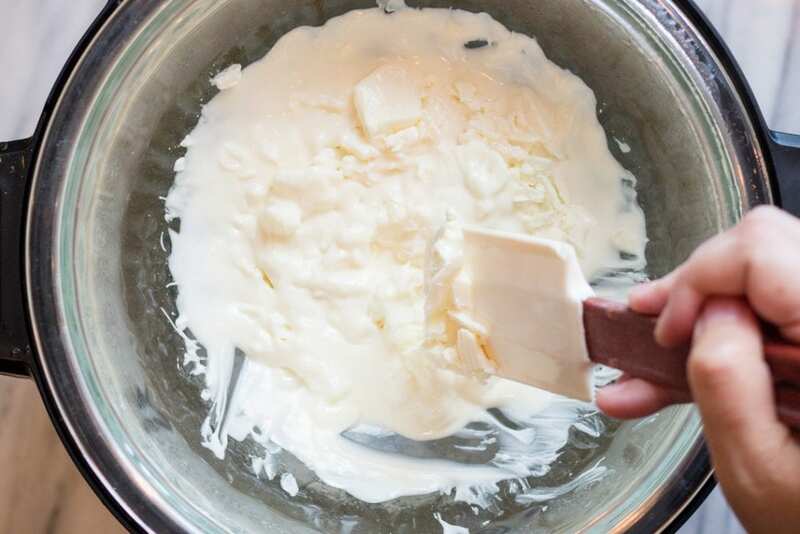 Mix with a Hand Mixer or in a stand mixer until combined. Dough will be glossy and thick. 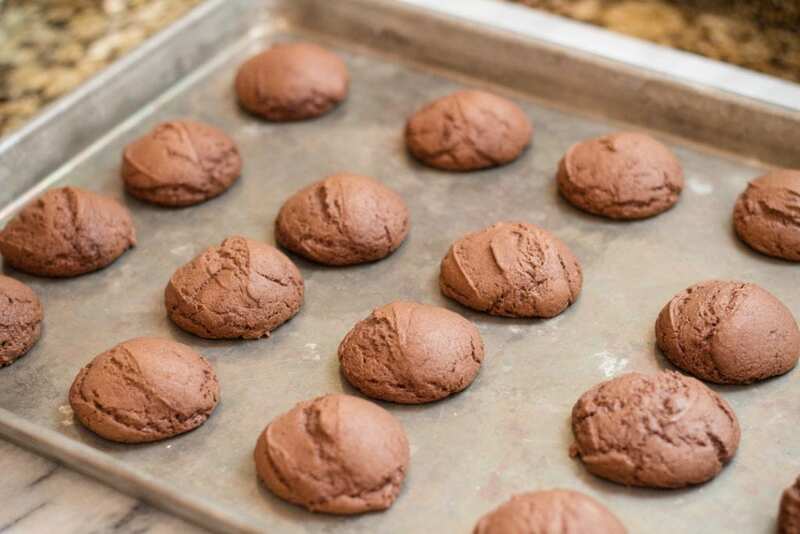 Using a small cookie scoop (1 inch balls), scoop dough and place on baking sheet. If you don't have a cookie scoop roll dough into 1 in balls using your hands. Remove from oven. Take off of pan and place on wire rack to cool. In a separate bowl melt white almond bark. To melt you can chop the chocolate into pieces and place in a bowl and microwave for 2 minutes, stirring after every 30 seconds until smooth. OR you can place 3-4 cups in an Instant Pot Pressure Cooker on Saute'. Then place chocolate in a larger bowl that sits on top of the pressure cooker. The steam will heat the bowl of chocolate and melt it easily. Stir chocolate as it melts until smooth. Turn off Instant Pot. The heat from the water will keep the chocolate smooth for about 30 minutes. Dip 1/2 of each cooled cookie and place on wax paper. 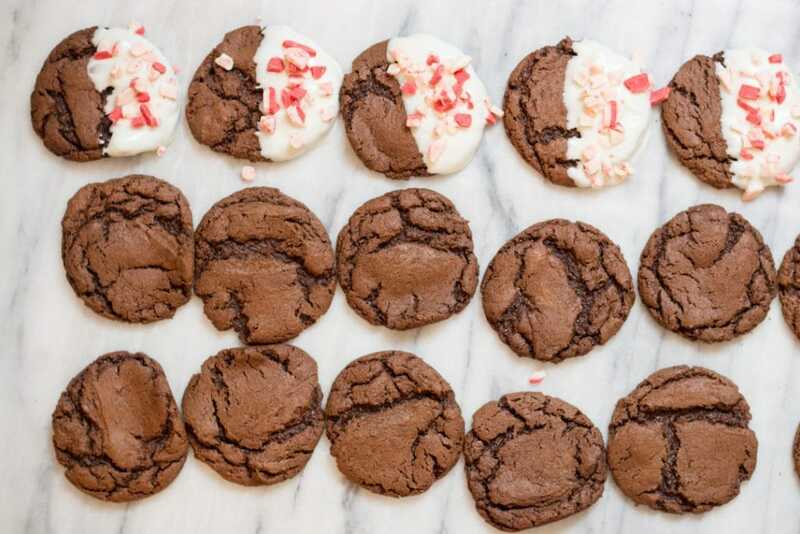 Sprinkle each cookie with crushed Andes Peppermint Pieces. Allow cookies to cool. As the chocolate cools the peppermint will stay firmly in place. Andes Peppermint Chocolate Pieces can be hard to find. Look for bags in the baking section with the other holiday chips. 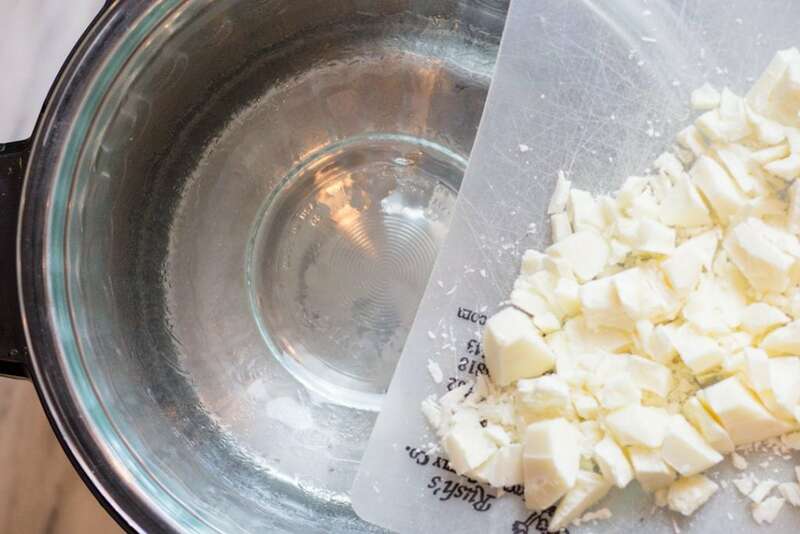 I love to melt the almond bark using the Instant Pot. The chocolate melts so smoothly. Add 3-4 cups of water on Saute' to create steam. Place chocolate in a larger bowl and set on top. The steam will heat the bowl of almond bark chocolate and melt. Stir until smooth.